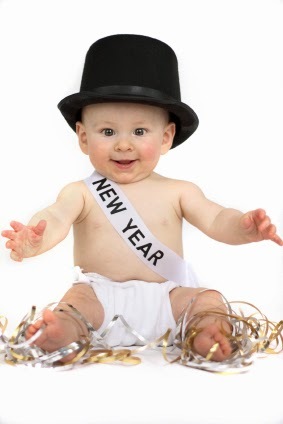 Secrets of Baby Behavior: Happy New Year! Happy New Year! We'd like to welcome you back to our blog! We took some time off for the holidays, but now we are back. For those of you new to our blog, welcome! We would like to start the new year off with a little tutorial about how our blog works and where you can find "The Basics" of Baby Behavior, which is a great series of posts to start with if you are new, or if you haven't been around here in a while. You can begin with our overviews on your baby's cues, crying, and sleep patterns. I have a five month old boy who has a pretty intense and active temperment. He has always been nervous around strangers, and doesn't like to be passed around. He just started daycare, and is having a hard time adjusting - he cried for much of the first day and ate about half as much as usual. I would LOVE to read a post on how to best help babies adapt to new settings they will need to learn to accept; is it good to spend time there with him so he sees it's "mom approved"? Or start with half days to lessen the stress? Or simply dive in? I've read the posts on temperment and would love to read more on the topic. Thanks!